How Do The Scentsy UK Hostess Rewards Work? Scentsy offer very generous rewards to their customers as a thank you for hosting a Scentsy party. They even reward you for any parties booked at your party! For all accumulated party orders over the amount of £225, the hostess will receive half-price and free Scentsy products based on the total of the party. How Do The Scentsy Half-Price Rewards Work? Based on a party of £225 to £384 the hostess of that party will receive one half price item. This reward must be used at that party and cannot be held until a future order. The hostess (or host) can treat themselves to a half price warmer, or bar, or any of our other products (excluding a Diffuser). Likewise they can take advantage of the combine and save packs and receive a half-price 3 or 6 Scentsy wax bar pack, or even a half price warmer and 3 bar pack system. If the party total is £385 to £554.99, the hostess will receive two half price items. 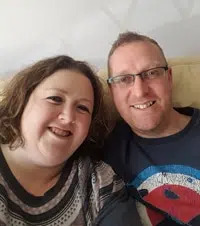 For a party total of between £555 to £1,109.99 they will receive three half-price items and finally, for an accumulated party total of £1,110 or over, Scentsy will reward the hostess with four half price items. If the hostess would like to treat herself to a Scentsy Diffuser, she would need two half-price items to receive the Diffuser half-price. The one half price reward as a limit of £110, so for an item over this value, two half price rewards are needed to receive it half price. How Does The Scentsy Hostess Credit Reward Work? As well as receiving up to four half price items, Scentsy also reward their hostesses with some product credit as well, again this must be spent at the party and cannot be carried over to a future order. One important thing to note is that the credit cannot be used to pay off the balance of the half price items either, the two rewards need to be on separate items. Based on a party of £225 to £384 the hostess of that party will receive 10% product credit. So, for example, if the party was £225, the hostess will receive £22.50 to spend on whatever they like. So, if the hostess would like a £28.00 warmer, they can put their £22.50 product credit towards this warmer and then pay the balance of £5.50. It is important to remember though that the £5.50 overage does not go towards the party total. If the party total is £385 to £554.99, the hostess will also receive 10% product credit. 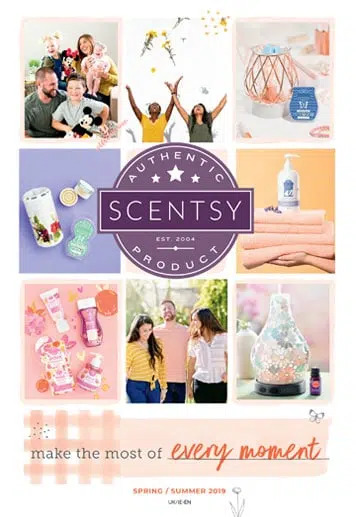 For a party total of between £555 to £1,109.99 they will receive 15% product credit and finally, for an accumulated party total of £1,110 or over, Scentsy will also reward the hostess with 15% product credit. A full explanation of the rewards can be viewed on the chart below. What Is the Scentsy Perpetual Hostess Reward? Not only do Scentsy offer very generous rewards to you if you do host a party, but if someone who attends your party then books their own party with your consultant, you will then receive an additional half price product when you attend your friend’s party! Imagine if two or three of your friends booked a party with your consultant after attending your party! How Do I Book A Scentsy UK Party? If you would like to book your own Scentsy party, whether it be a home party, or a Facebook party, please do let me know and we can arrange one. If you are not local, I do have a group nationwide so I will be able to put you in touch with a consultant local to you. If you are a Scentsy Consultant and wondering how these rewards are applied to an order, you will find the hostess rewards chart within the order screen. Scentsy do pay for these rewards and it is not something that you will pay for as it is Scentsy’s reward to your hostess. If you are not sure how to apply the rewards, please speak to your sponsor or your Director and they will be able to explain it for you. If you are part of my group (Written In The Stars), you will find a step-by-step training video in our Facebook group page which will talk you through how to enter these rewards. Which Products Can Be Used With The Scentsy Rewards? Other items such as the Scentsy Buddies, Buddy-Clips, Washer Whiffs, Laundry Liquid and Diffuser Oils can be redeemed using the hostess credit reward. Other items such as the Scentsy Buddies, Buddy-Clips, Washer Whiffs, Laundry Liquid and Diffuser Oils can be redeemed using the half-price item/perpetual hostess reward. You do need to have qualified for two half-price rewards (excluding the perpetual hostess reward) to receive a Diffuser half price.